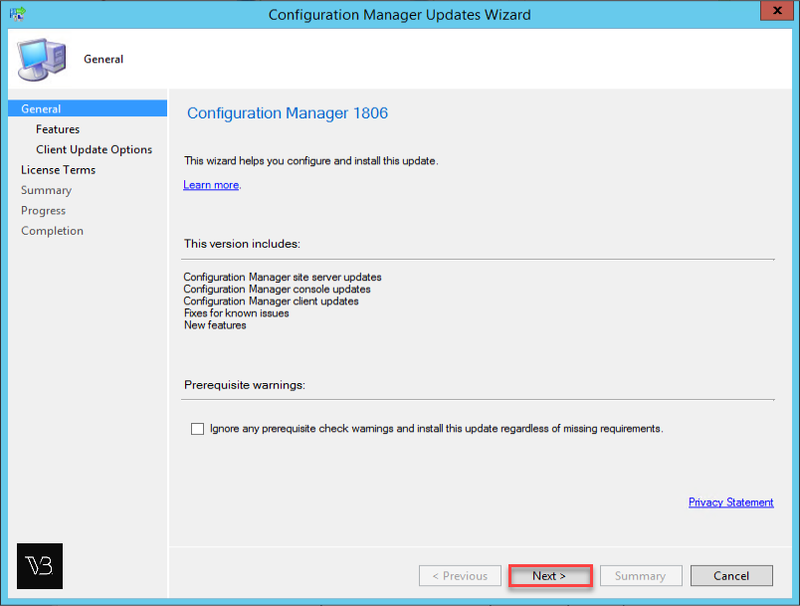 The following article is a step by step upgrade guide on how to upgrade your current version of SCCM Current Branch to SCCM 1810. 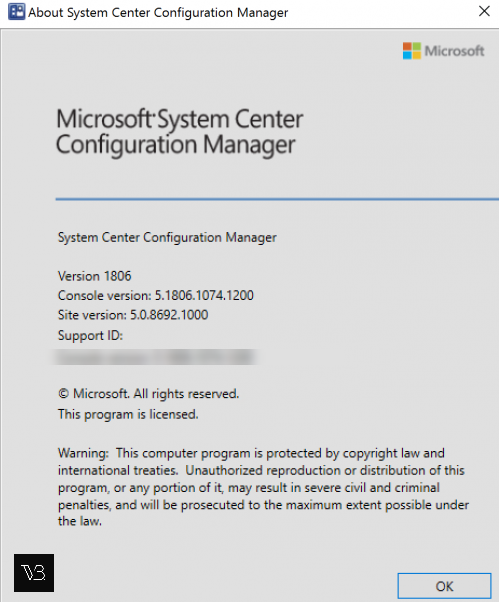 The announcement for Current Branch 1810 for System Center Configuration Manager can be found here and was made on November 27st 2018. To install the SCCM 1810 upgrade, you must have installed at least SCCM CB 1710, 1802 or 1806 and cannot proceed if you are still running SCCM 2012. 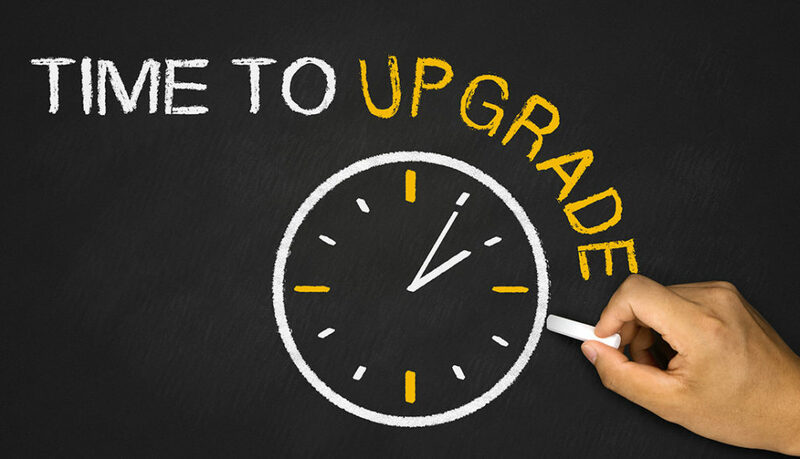 The entire upgrade process can be done mostly from within the console. Additionally, it is important to stay up-to date with your overall infrastructure so you have a seamless upgrade experience. 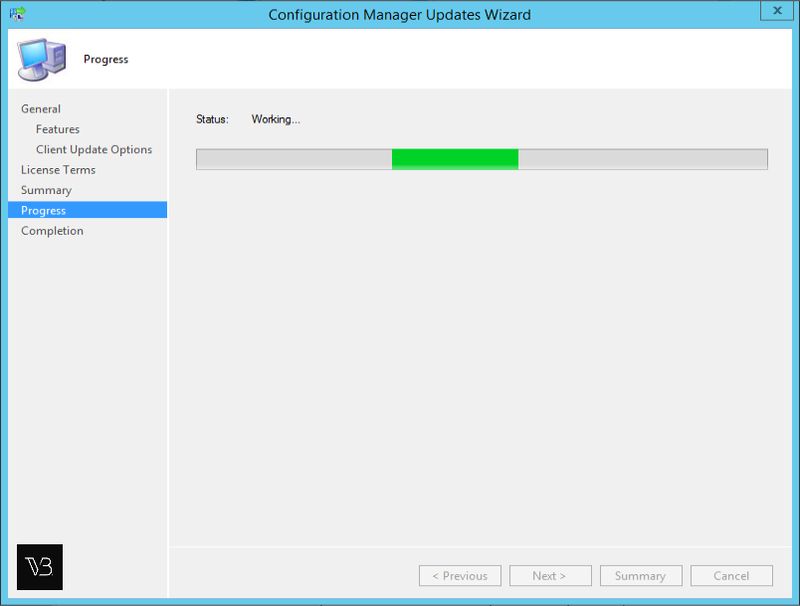 Lots of new features have been added within this update and you can read more about the SCCM 1810 updates here. 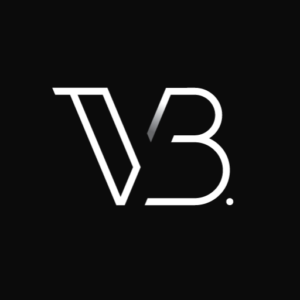 In this release Microsoft has focused on simplification of the Configuration Manager infrastructure with added functionality to make it easier to stay up to date with Windows and Office. 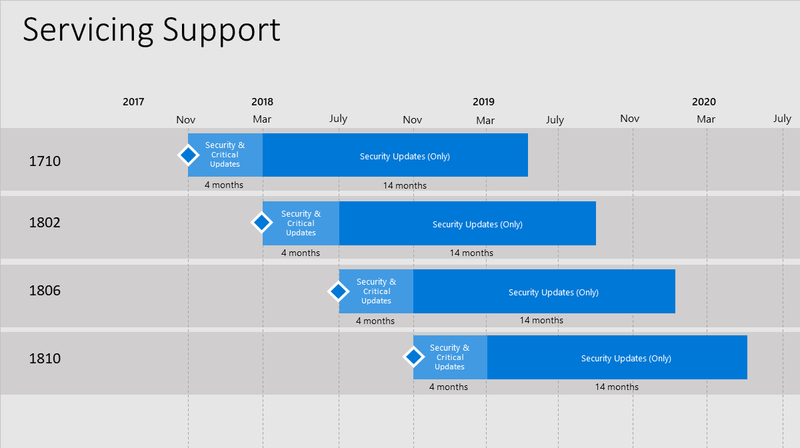 Microsoft continues to introduce new cloud powered value with improvements to co-management and new options to apply Conditional Access to ConfigMgr managed PCs. 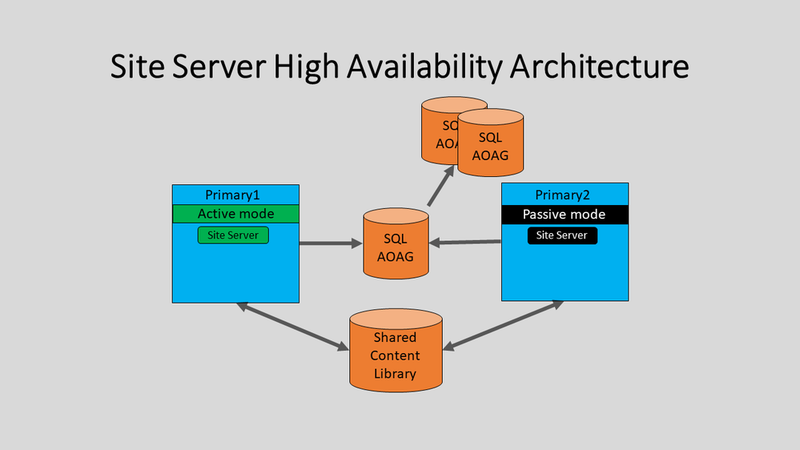 The big feature that I am excited about is the next set of enhancements to site server high availability. Historically you could add redundancy to most of the roles in Configuration Manager by having multiples of these roles in your environment. The site server was an exception. 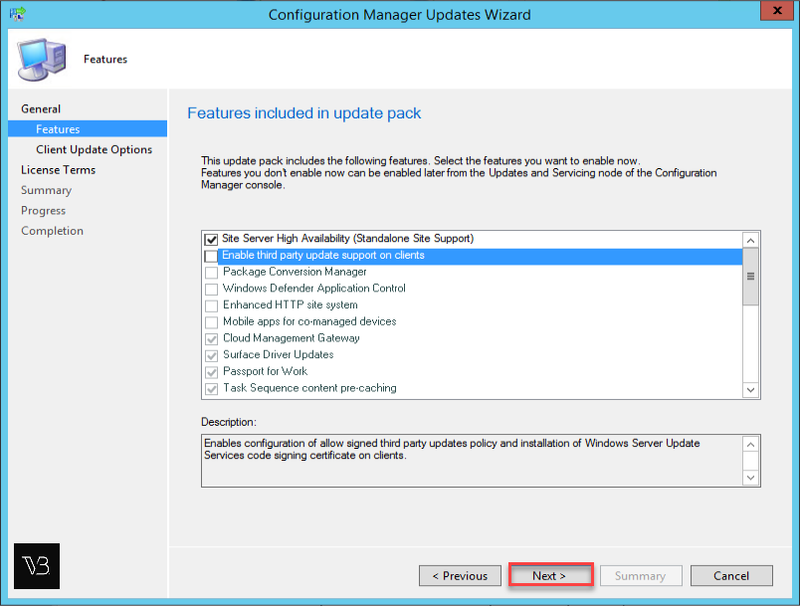 In Configuration Manager version 1806, high availability for the site server role added an additional site server in passive mode for standalone sites. 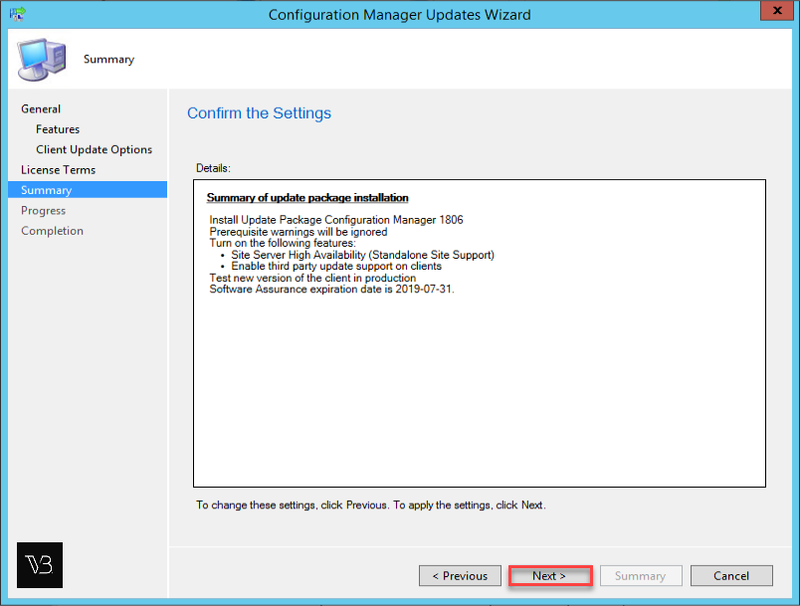 Update 1810 adds hierarchy support so Central administration sites and child primary sites can now have an additional site server in passive mode. The site server in passive mode can be on-premises or cloud-based in Azure. Task sequence support for boundary groups – When a device runs a task sequence and needs to acquire content, it now uses boundary group behaviors similar to the Configuration Manager client. Improvements to driver maintenance – Driver packages now have additional metadata fields for Manufacturer and Model which can be used to tag driver packages for general housekeeping. Management insights dashboard – The Management Insights node now includes a graphical dashboard. This dashboard displays an overview of the rule states, which makes it easier for you to show your progress. 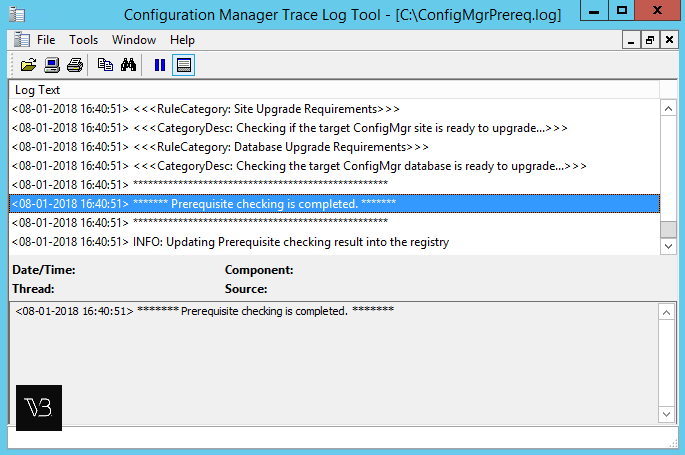 Management insights rule for peer cache source client version – The Management Insights node has a new rule to identify clients that serve as a peer cache source but haven’t upgraded from a pre-1806 client version. Improvement to lifecycle dashboard – The product lifecycle dashboard now includes information for System Center 2012 Configuration Manager and later. Windows Autopilot for existing devices task sequence template – This new native Configuration Manager task sequence allows you to reimage and re-provision an existing Windows 7 device into an AAD joined, co-managed Windows 10 using Windows Autopilot user-driven mode. SMS Provider API – The SMS Provider now provides read-only API interoperability access to WMI over HTTPS. 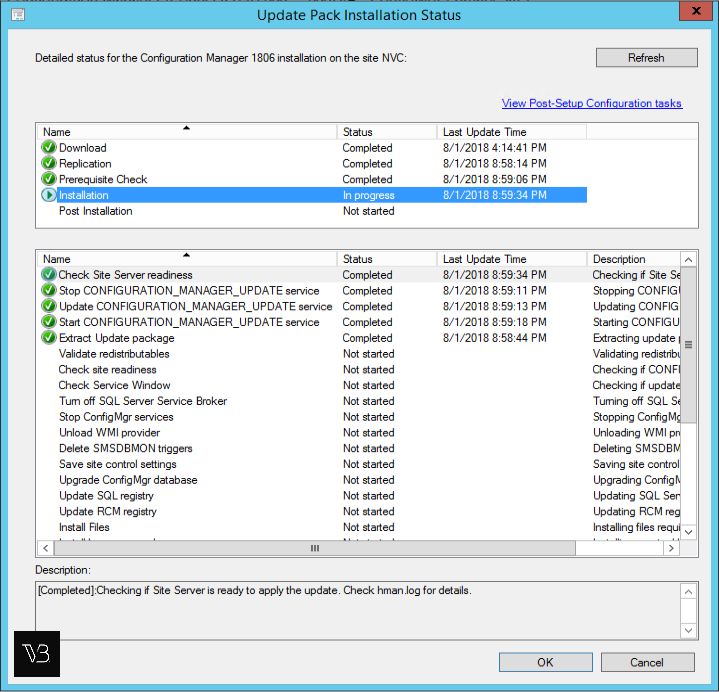 Site system on Windows cluster node – The Configuration Manager setup process no longer blocks installation of the site server role on a computer with the Windows role for Failover Clustering. With this change, you can create a highly available site with fewer servers by using SQL Always On and a site server in passive mode. 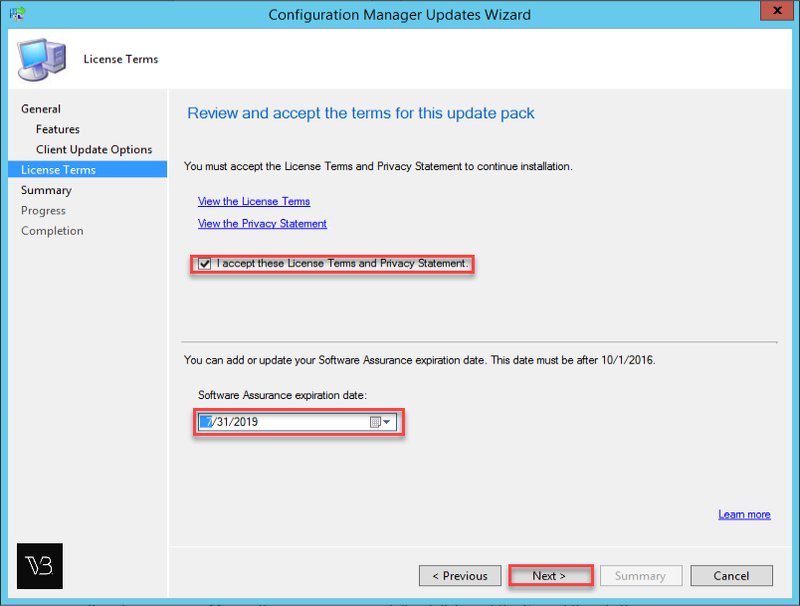 Configuration Manager administrator authentication – You can now specify the minimum authentication level for administrators to access Configuration Manager sites. 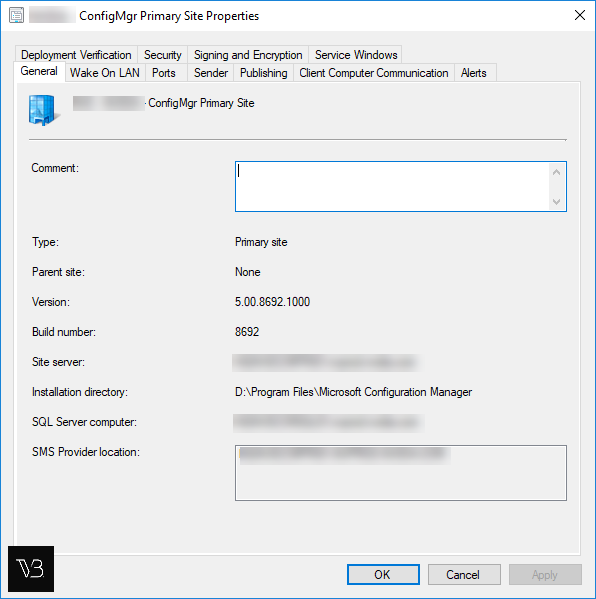 New client notification action to wake up device – You can now wake up clients from the Configuration Manager console, even if the client isn’t on the same subnet as the site server. New boundary group options – Boundary groups now include two new settings to give you more control over content distribution in your environment. Repair applications – You can now specify a repair command line for Windows Installer and Script Installer deployment types. Convert applications to MSIX – Now you can convert your existing Windows Installer (.msi) applications to the MSIX format. Improvement to data warehouse – You can now synchronize more tables from the site database to the data warehouse. 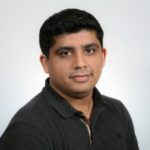 Support Center – Use Support Center for client troubleshooting, real-time log viewing, or capturing the state of a Configuration Manager client computer for later analysis. 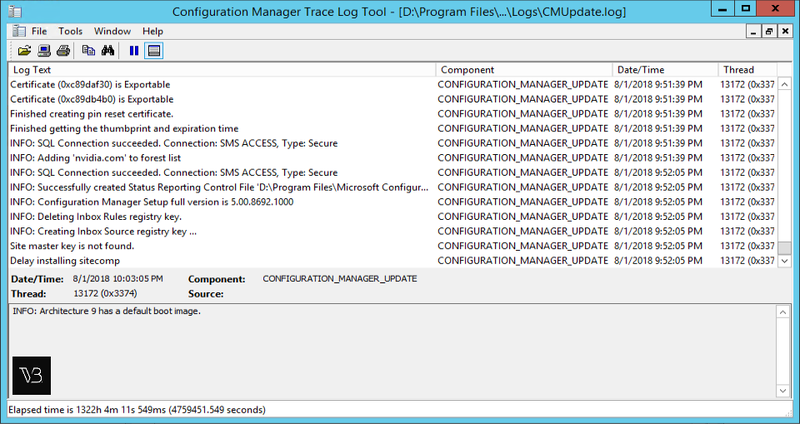 Find the Support Center installer on the site server in the cd.latest\SMSSETUP\Tools\SupportCenter folder. Starting on August 14, 2018, the hybrid mobile device management feature is deprecated. Support for System Center Endpoint Protection (SCEP) for Mac and Linux (all versions) ends on December 31, 2018. Availability of new virus definitions for SCEP for Mac and SCEP for Linux may be discontinued after the end of support. 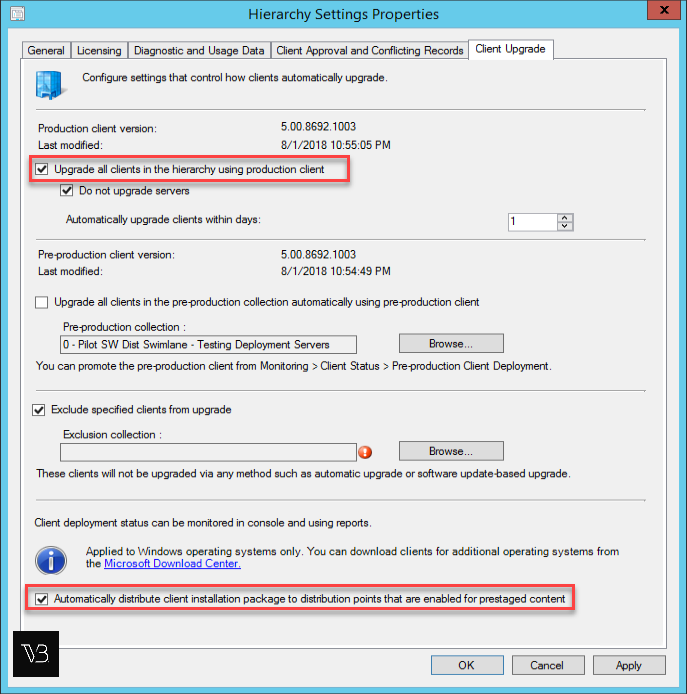 Classic service deployments in Azure are now deprecated in Configuration Manager. Start using Azure Resource Manager deployments for the cloud management gateway and the cloud distribution point. 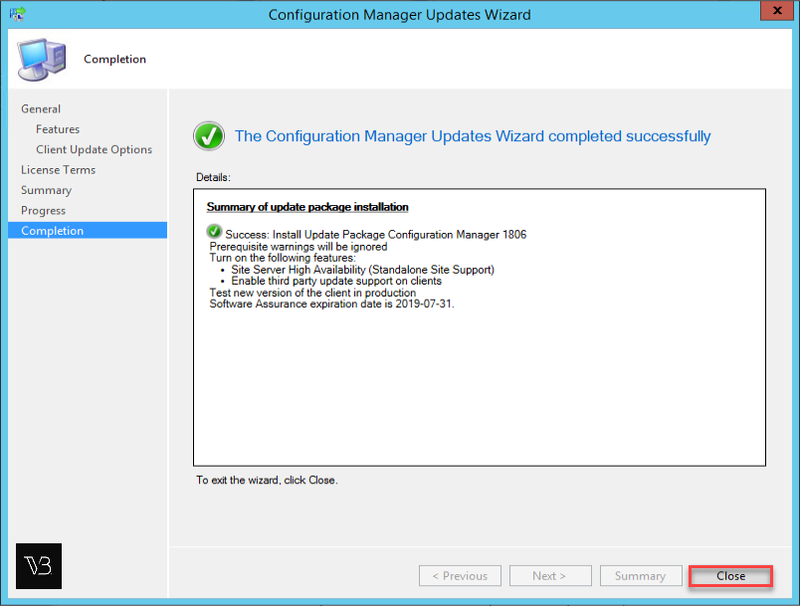 If you have done previous upgrades, the steps to upgrade SCCM Configuration Manager 1810 remain almost the same. 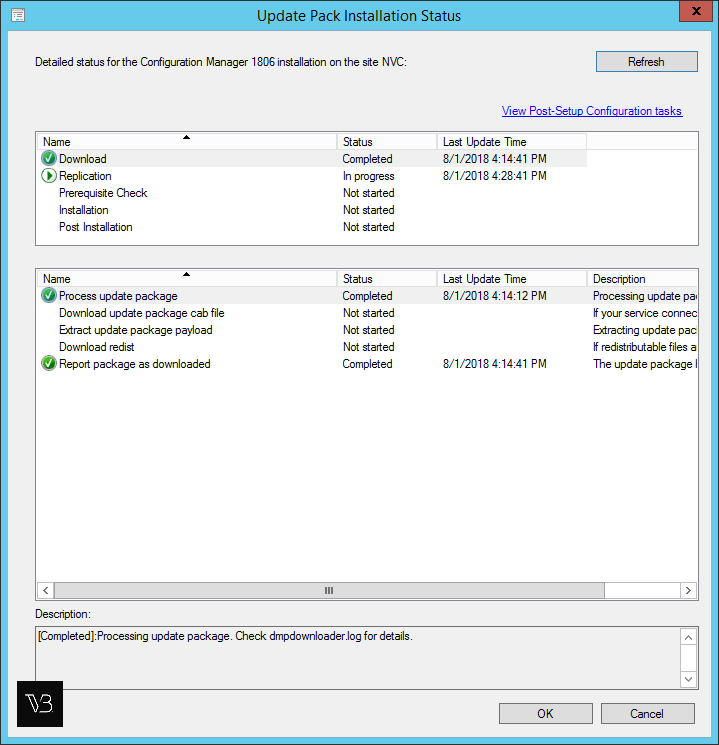 The SCCM 1810 update is not yet available for everyone within the console. If you don’t want to wait for the advertised release you would need to run the Fast-Ring script to make it appear in the console. The direct link for downloading the script from Technet can be found here. Once downloaded, follow the following steps to make the Update available within the console. 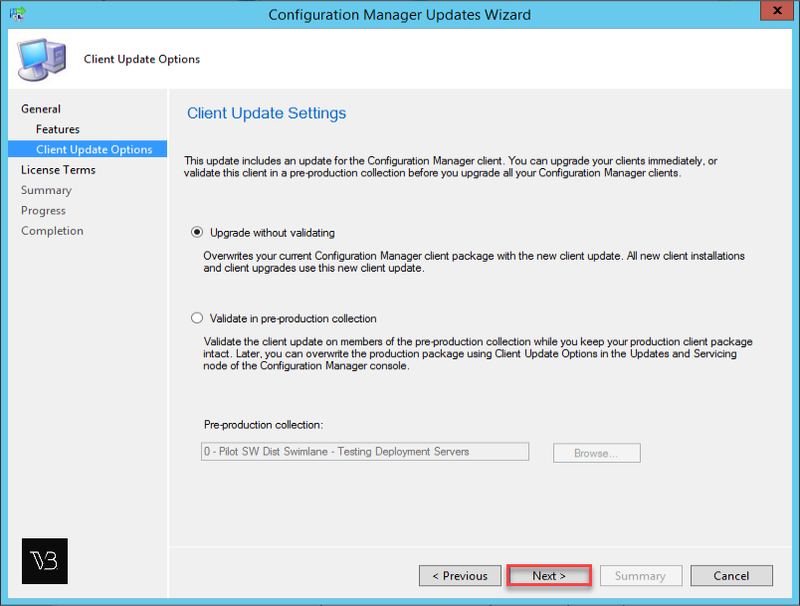 The new 1810 Update sh ould now be available in the Configuration Manager Console.